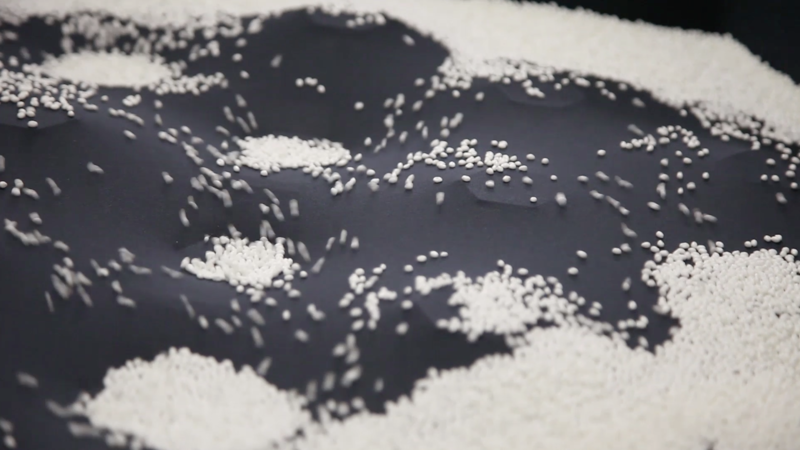 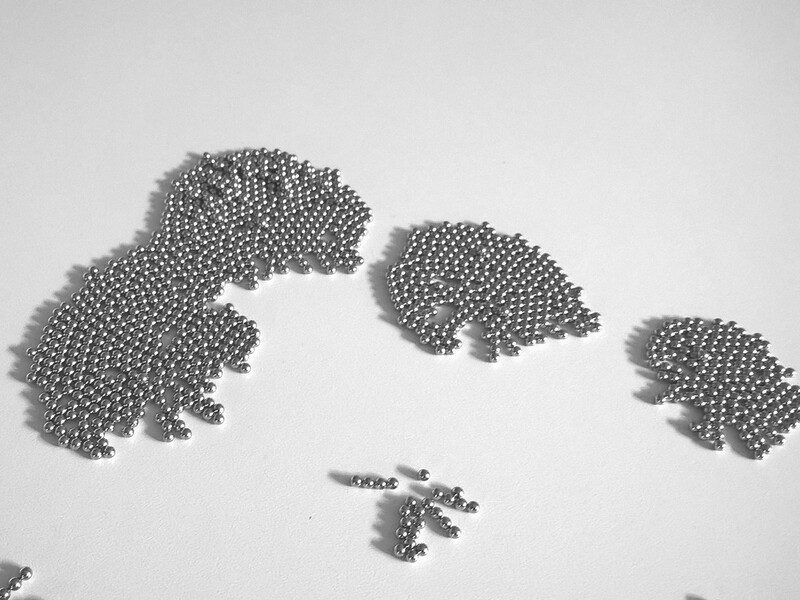 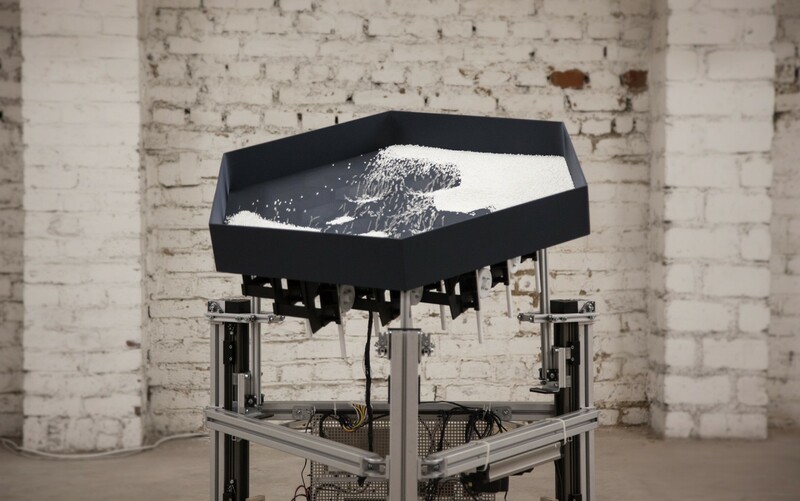 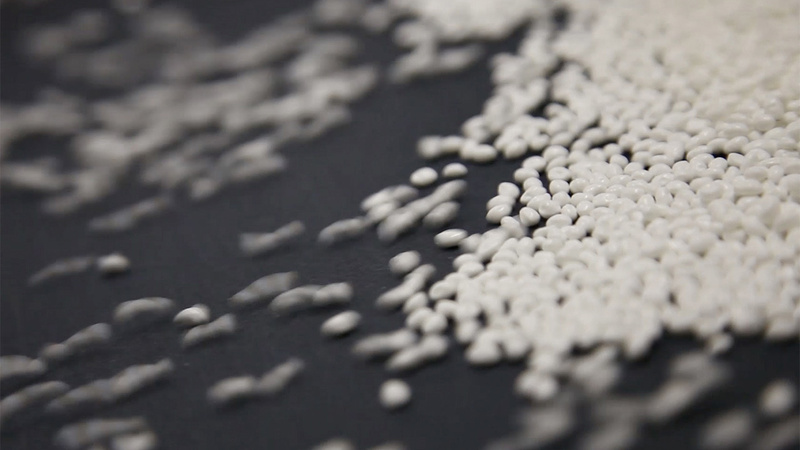 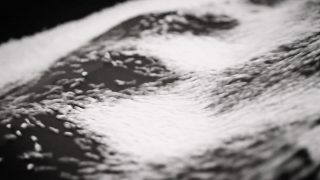 A physical installation comprised of granules driven by gravity and topography forming an analogue particle system. 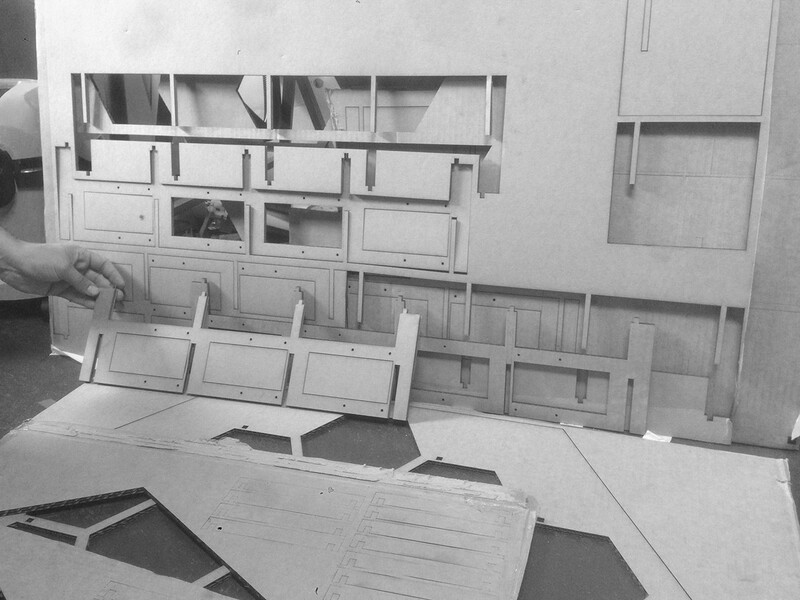 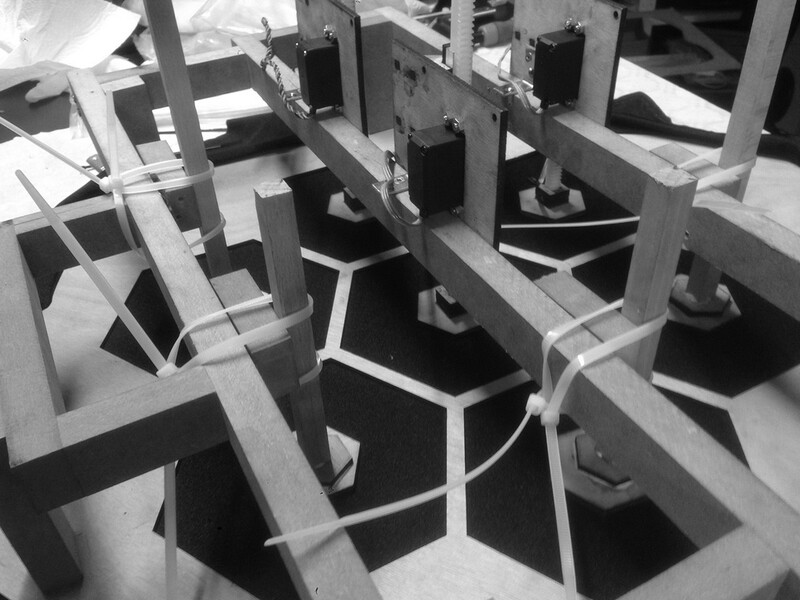 A moving slanted plane and a grid of motorized stamps control the elements of the physical particle flow to form infinite variations of behaviours and patterns. 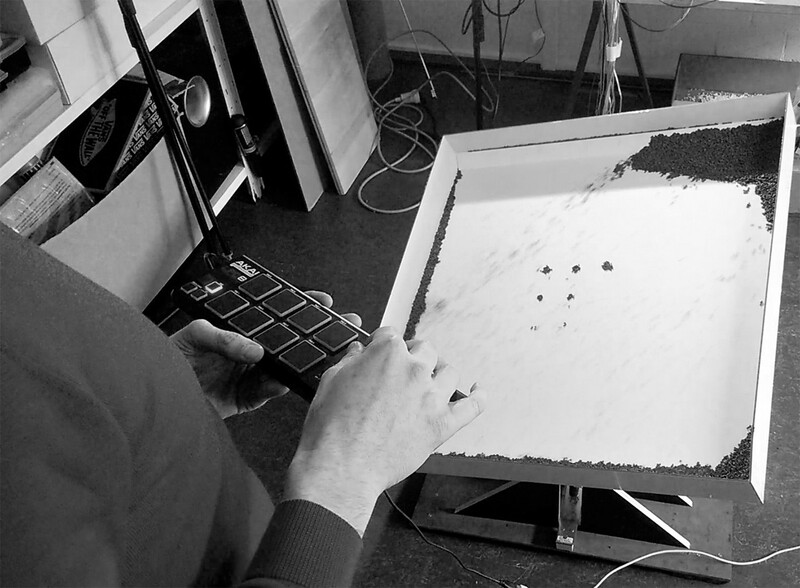 Software controlled motion follows a complex choreography and enables precise steering of physical particles in a variety of ways: from subtle to obvious, from slow to high paced, from random-like to symmetric. 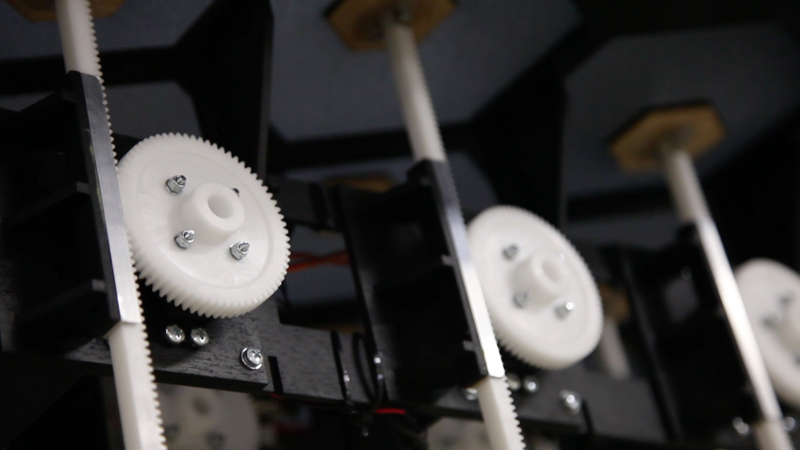 The motors are driven by a software realized with Processing and Arduino. 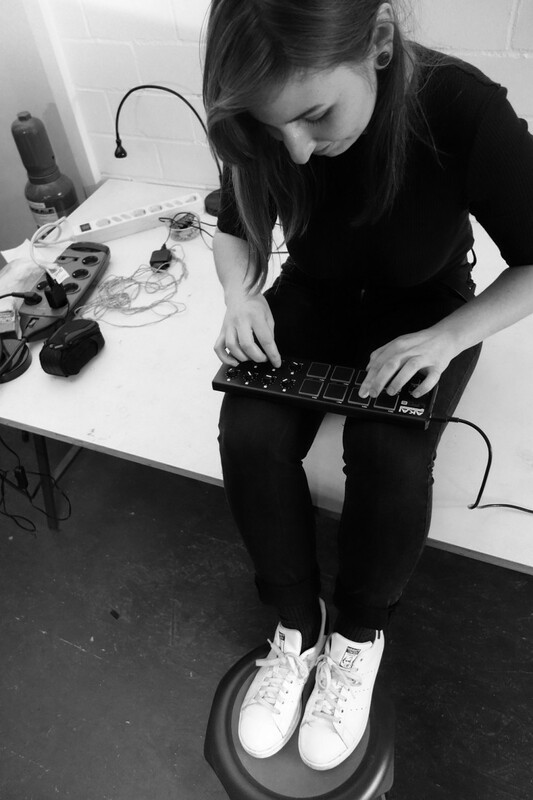 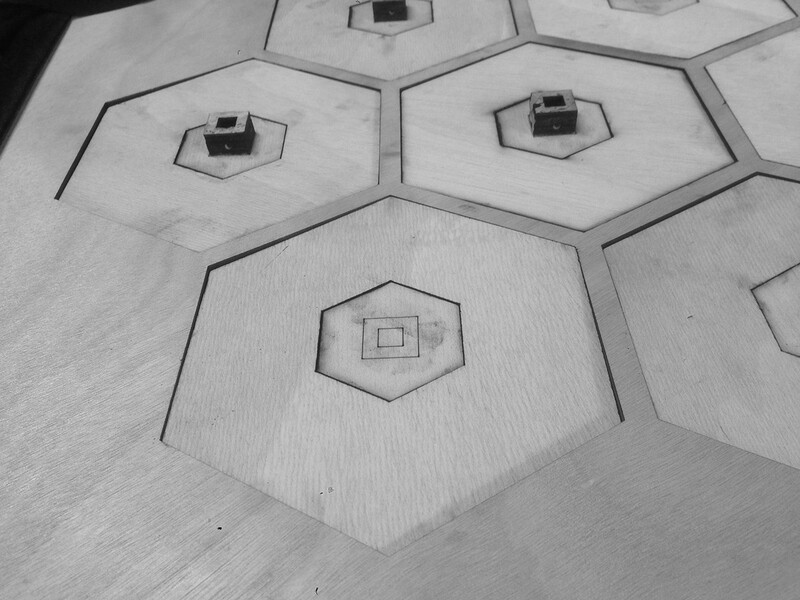 In the pre-production the team used a MIDI controller to manually trigger and adjust several motion presets and recorded these sessions as JSON files. 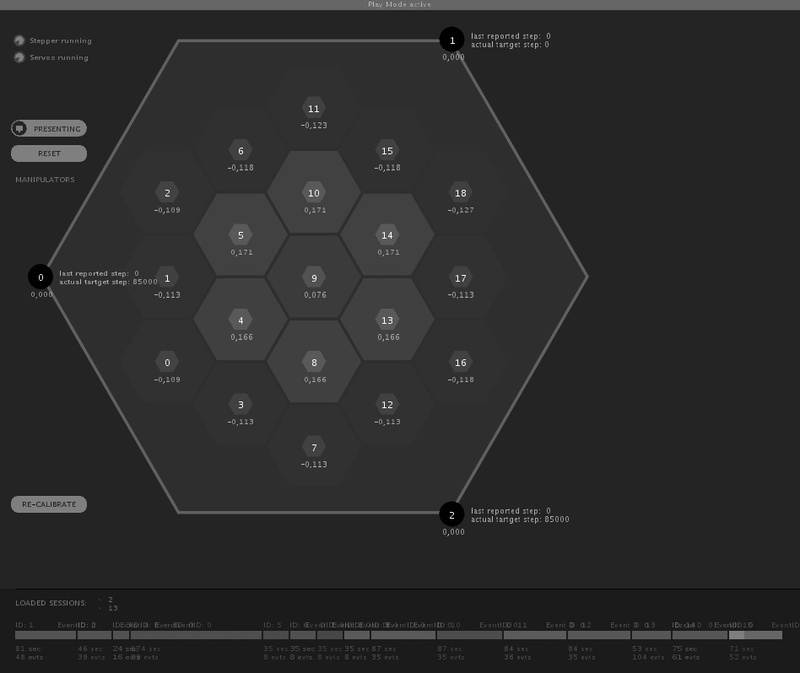 For the final installation the software randomly picks a pre-recorded session and sends the control commands to the mechanics via ethernet (UDP). 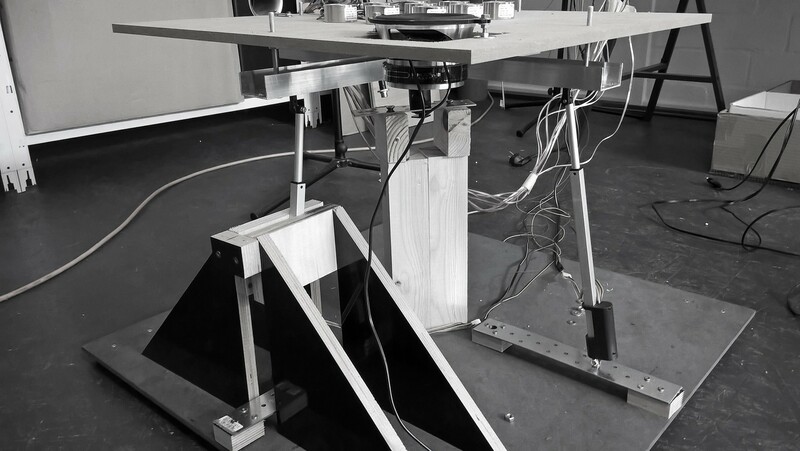 The custom-built mechanics that tilt the plane are driven by three stepper motors, an Arduino UNO and AutoDriver motor drivers from SparkFun based on the ST Micro L6470 chip. 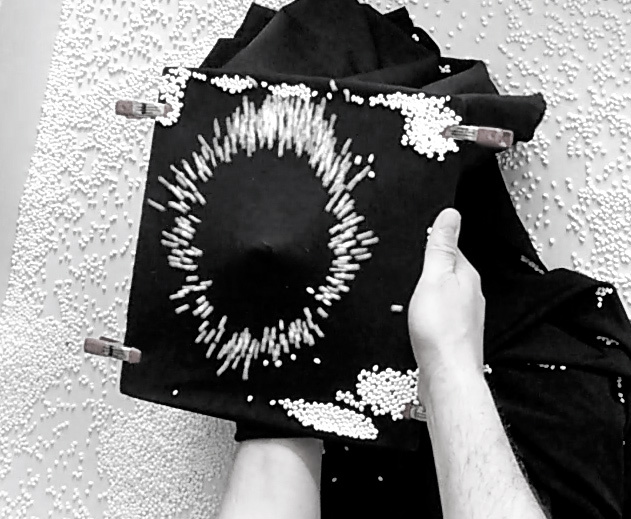 A grid of 19 motorized stamps is attached to a flexible textile to form the dynamic topography. Each stamp consists of an analog servo motor and a simple gearwheels mechanic. 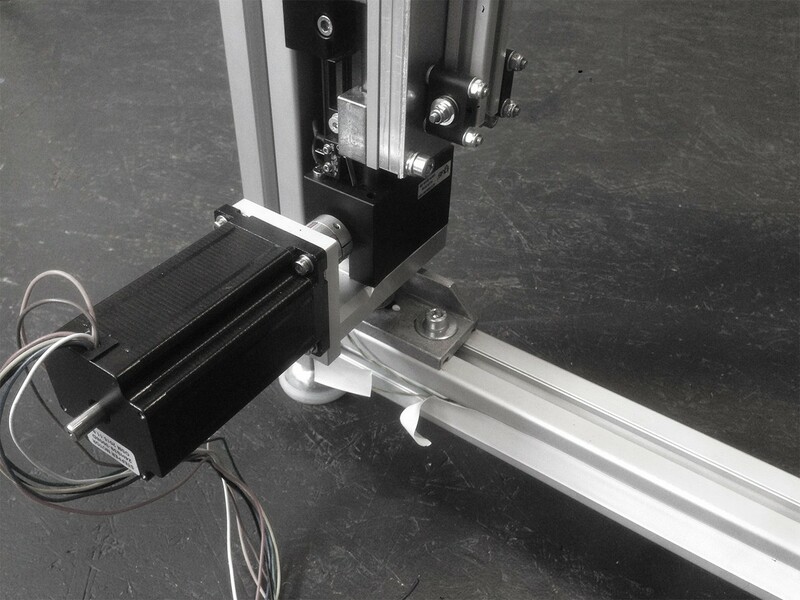 All servo motors are controlled by one Arduino MEGA 2560. 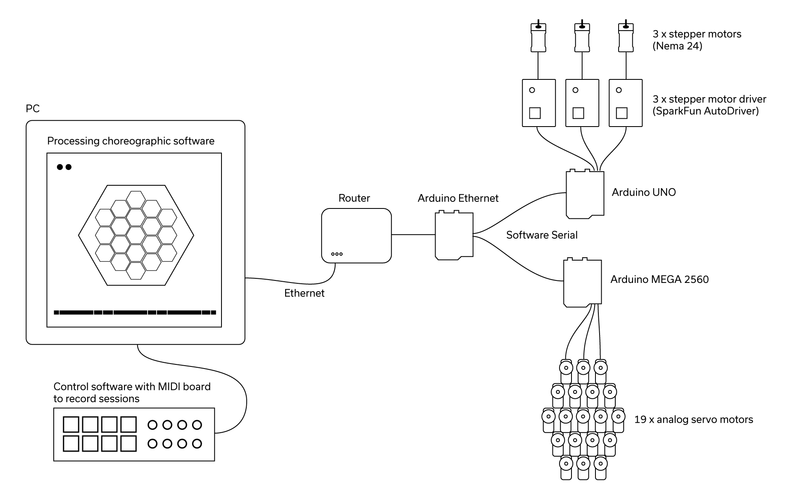 The communication between software and hardware is realized with an Arduino Ethernet, which forwards the signal to the other boards via SoftwareSerial.